Today I am sharing how to make a healthy pasta with the VeggettiPro that the hubby bought for me. At first I wasn’t thrilled about the new VeggettiPro because it just looked like a lot more work to me. But now I am loving it! 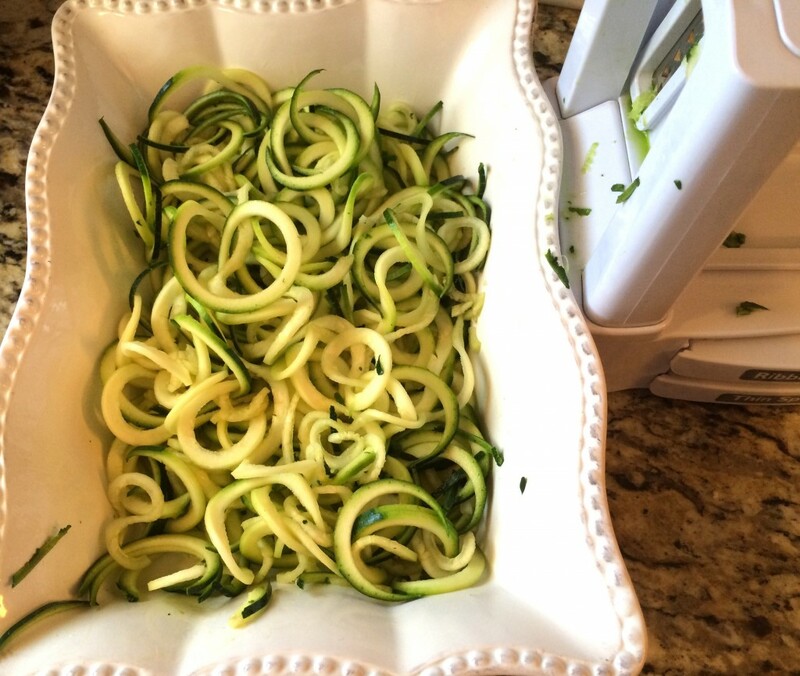 I can cut 3-4 zucchini’s into spirals quickly for making a healthy pasta, and it comes apart for easy cleanup. 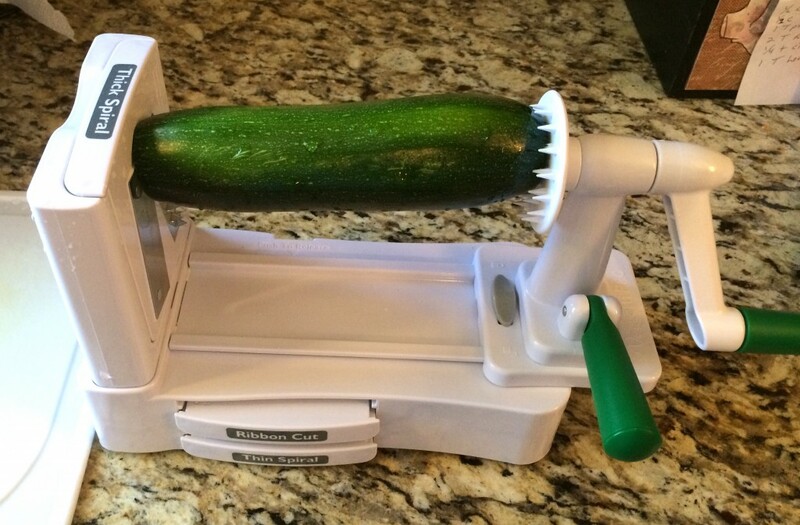 Make a delicious and healthy substitute for pasta with the VeggettiPro. 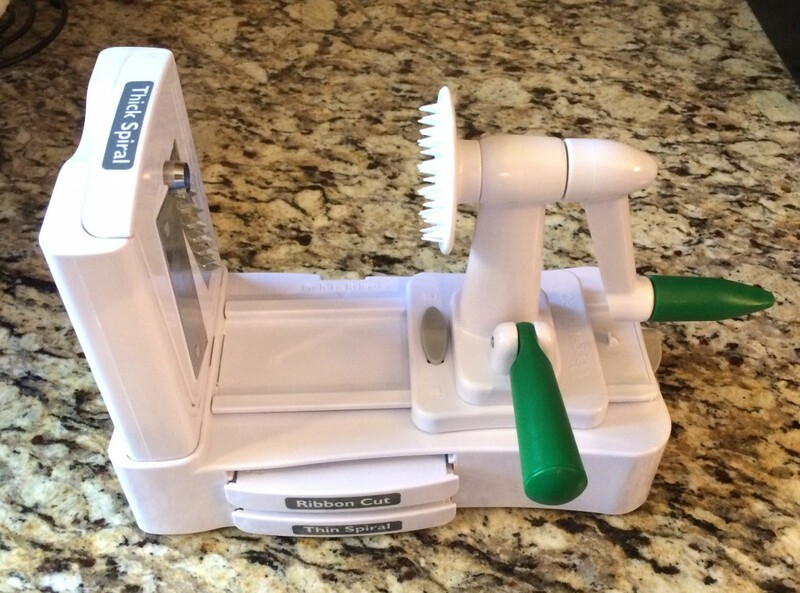 The VeggettiPro (affiliate) comes with three different cutting blades, a thick spiral (which is the one I use for my Homemade Zucchini Spaghetti), a thin spiral, and a ribbon cut. Wash and cut the ends off your zucchini, then place the zucchini in position and turn the handle. Add to your dish and continue until all zucchini is cut. Once your baking dish is filled with the spirals of zucchini you are ready to make your healthy version of spaghetti by substituting zucchini as your pasta. The VeggettiPro(affiliate) makes it easy to add more healthy dishes to your diet. Here’s my recipe for zucchini spaghetti. I always make two dishes of healthy pasta with my VeggettiPro so we can take it to work in our lunches for the week. The VeggettiPro is great for making a delicious and healthy substitute for pasta. Have you ever tried zucchini pasta? I love this idea. I’m all for getting healthier, and this looks like it would be a great way to add more veggies. When the hubby was wanting me to make pasta I wasn’t so sure about it. But it’s really good and does help to get more veggie in the diet. That’s my main problem now, and hubby is not an avid veggie lover. I wish I had a chef! My hubby is a meat eater but he does like veggies as well, he just has to have his meat as well. Chef would be nice, then I would have more time to do what I want to do. Chris made yam pasta and it was good too. I’ve never tried yam pasta. I don’t care for yams, but maybe if they were in a pasta I would like them. They are suppose to be good for you. I just recently tried the zucchini noodles from the hubby’s urging, and I love them as well. They are so much more healthy then pasta. Linda, I love this little Gadget. The veggetti pro is now on my wishlist. You could use this for so many vegetables. I would love to try it with beets and carrots too. Not only is this healthier for you but it looks so pretty. 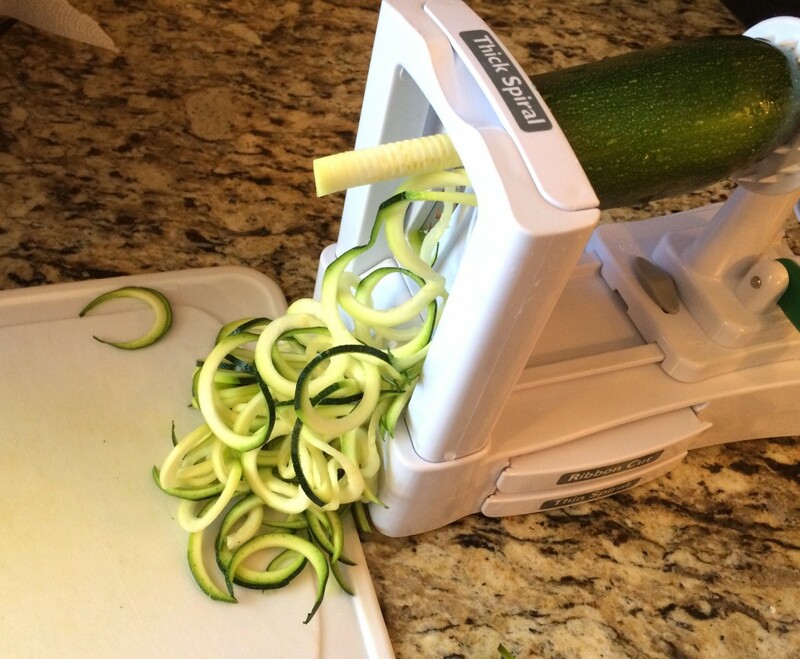 What a great idea to make healthier pasta and even stir fries with zucchini or summer squash as the base. Your husband did good! Thanks Nikki! Yes the hubby did good. I was skeptical when the hubby bought it, and zucchini spaghetti didn’t sound good at all to me. But turns out I love it as much as him and we are having it again this week for our lunches at work. The vegetti pro makes the task so easy.